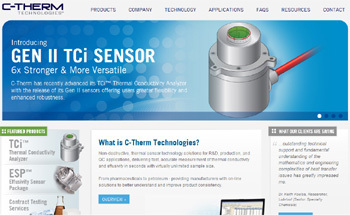 Established in 2007, C-Therm Technologies provides sensor solutions for R&D, manufacturing and quality control environments, offering the latest in rapid, non-destructive thermal analysis instrumentation. The company was launched with the acquisition of the assets of Mathis Instruments and is privately held within the Cartmill Group of Companies. For over a decade, C-Therm's instrumentation has been pioneering the way many of the world’s most prominent manufacturers, research facilities, and academic institutions test and measure thermal properties of solids, liquids, pastes and powders. C-Therm Technologies Ltd. provides contract testing services for thermal conductivity,effusivity and heat capacity measurement. The Taste Sensing System TS-5000Z employs the same mechanism as that of a human tongue. It converts the taste of various substances such as food and drugs into numerical data.